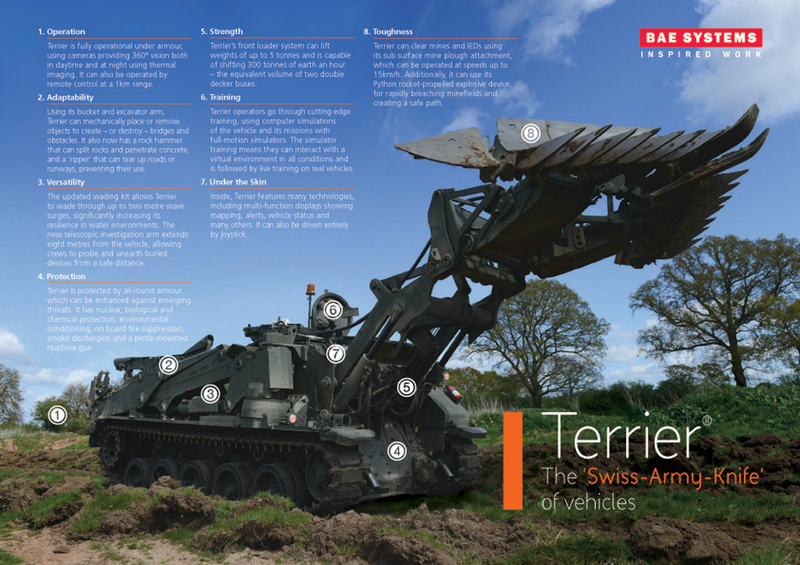 The telescopic investigation arm extends over 8m from the vehicle – one of the longest in the world available for such a vehicle – allowing crews to probe and unearth buried devices from a safe distance. Additionally, the vehicle can now be exported with a rock hammer, ripper and earth augur – hugely extending its capabilities. The hammer can split rocks and penetrate concrete, while the ripper can tear up roads or runways, preventing their use. The earth augur can drill holes for use in combat engineering.